If you’ve been in the Architecture, Engineering and Construction (AEC) industry for a long while, you’ve probably seen a lot of change. Computer Aided Design (CAD) and Building Information Modeling (BIM) were part of the last technology revolution. State-of-the-Art design is 4D (time) and 5D (cost) but has only been embraced by a minority of firms while the murmuring about Artificial Intelligence (AI), Robotic Process Automation (RPA) and Blockchain is building toward a scream. The talk is everywhere. We see it in the papers, the webinar promotions in our inbox and conference presentations. Visionaries and entries external to AEC are testing and projecting where these technologies might lead us. Examples are autonomous vehicles, 3D printed products, cloud managed design and construction, and robots that can interpret and adapt. As a result of this plethora of information, we can now start to see where these technologies might change our world. However, the vast majority of AEC firms lack clarity and direction on how to proceed. A key challenge is that the AEC industry makes use of technology, but does not originate their development. We are also trapped in our conservative paradigm of how we conduct our business and we don’t invest much in research and development. Might there be business entities outside of our industry who are not encumbered this way? If this is true, might an era of disruptive change for AEC be just around the corner? Considering Uber’s impact on the Taxi industry, who might be AEC’s Uber? It may feel as dangerous as navigating through fog. But, if we use the right tools, navigating through fog can be safely accomplished. Let’s explore tools that AEC can use to navigate to the new state of delivering solutions to our clients. If you are not convinced this navigation is urgently required, let’s explore history and contemplate what is known. Does Danger Lurk Ahead for AEC? Starting in the 1800’s with the first industrial revolution, the explosion of commerce and population that followed the adaptation of technology drove infrastructure (railroads, highways) and structures (steel, glass and polymer building systems). Each revolution created a wave that accelerated the demand for AEC firms. Now, with artificial intelligence, big data and robotics, we can see how software might take over many of the thought processes and judgement reserved for technically educated humans. When, not if, this happens, what might the engineer’s and architect’s role be? The case for continued demand for licensed professional services skills has merit. New technologies will create new commerce and social systems. For example, should autonomous vehicles and transit take over, the retooling of roads, parking garages and transit systems will be massive. To support this massive infrastructure retrofit, it seems likely that the demand for firms involved with delivering the required services will explode. Is this the same as saying that the demand for traditional AEC firms will explode? What if automation and robotics are able to replace engineering, architecture and construction processes and even judgement? Might this mean that some day when we talk about “firms involved with delivering infrastructure”, we are not talking about engineering, architecture and construction companies? Might a new entity move into that space? Who might this be? How about entities that today are already proficient at data management, automation design, and robot delivery? All they need to do to replace the traditional AEC role is to incorporate core AEC skills and knowledge into their processes. Is there any doubt that some will do this successfully? No one knows the outcome of this transformation. If we use the last three industrial resolutions as an indicator, many “old delivery system” AEC businesses will cease to exist. Those who pay attention and take action now may be able to position themselves to evolve to a new state before these “outsiders” do. Is there a way an AEC firm and its employees can win this race? The key to riding the next disruptive wave of business is to figure out how to leverage technology to meet clients’ needs more effectively than current processes and to evolve into that space. We are the ones who best understand our clients and our processes to achieve their goals. That is a powerful advantage. While the outcome is not possible to predict with certainty, the methods to assess one’s situation is not new. Here is FosterGrowth’s approach. First, inventory the core skills of employees. Break services down to each component, like hydraulic calculations, drainage control, and structural design. This breakdown is a starting point for assessing the processes that might be automated. Develop an intimate understanding of clients’ business drivers. For instance, a university must attract students and quality academic instructors. What are those two groups looking for and what are the competitive trends? For most firms, this is a deeper awareness than just the clients’ infrastructure needs. Examine the firm’s brand as a business that is seen by those clients as providing a direct aide to their core business drivers. Then research firms external to the firm who, through technology, might be able to satisfy those drivers too. Explore strategies to develop new strengths. While doing that, also recognize the weaknesses other entities have in entering our market. Might factors such as public trust be a huge disadvantage for non-professionally licensed external entities? How can AEC leverage trust? What new skills are required to integrate technology while maintaining trust? 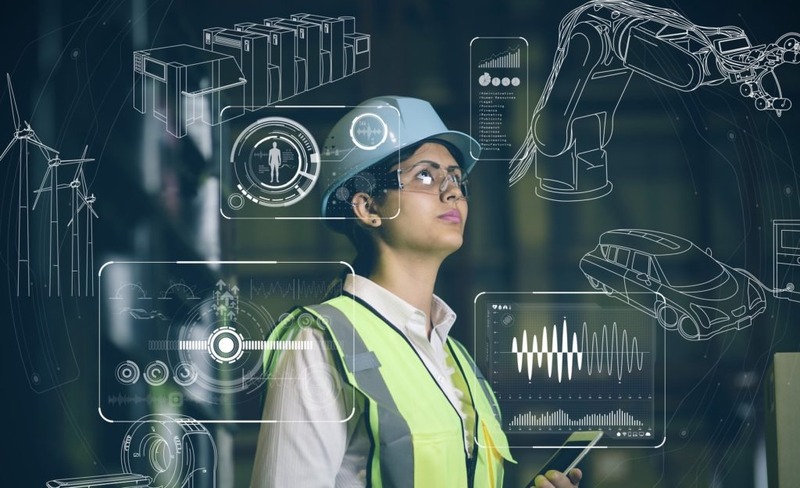 What project delivery systems will depend on software skills, data management skills and robotics in addition to engineering and architecture? The outcome of this analysis is a set of tactics to advance employees and the firm in this new direction. Expect to learn along the way and to make many adjustments. You will need a lot of guidance from someone who understands your business and also understands the methods to analyze threats and opportunities. This guidance will ensure that your employer and you learn how to think outside of the box and to safely experiment. By adding new skills incrementally, integrating them into your processes, and testing them on your most progressive clients, risk can be managed and success assured. P.S. Looking for additional reading on this topic? Read this 2018 study by the World Economic Forum.